All the Brushes You Need for a Professional Result. 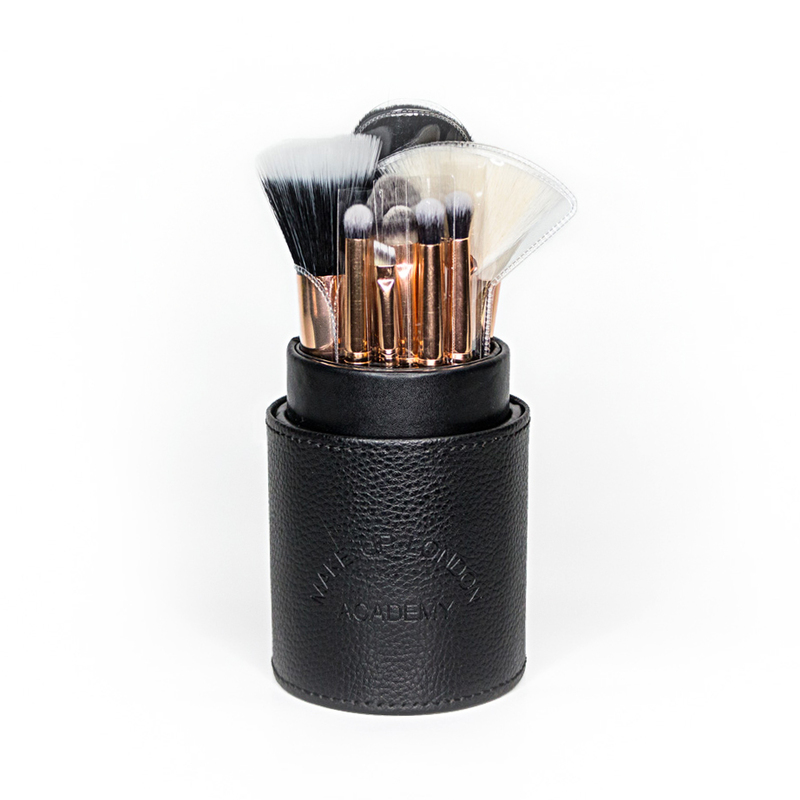 Our Luxury 12 Piece Brush Set With Black Case includes 12 Assorted Brushes. The Brushes Are High in Quality and Very Soft. Powder Blush, Angled, Foundation, Concealer, Medium Eye Shader Angled Eyeshadow Natural Smudge, Pointed Liner, Flat Eyeliner also featuring the amazing Double Duo (stippling) for the airbrushing finish effect. Made with the finest Synthetic Fibres.